XCOM had started slinking toward stealth long before the imposing statues of the sequel’s ADVENT administration loomed on the horizon. Enemy Within introduced Mimetic Skin – a chameleonic genetic upgrade that hid modified soldiers in high cover. Engineering, meanwhile, manufactured distraction beacons and invisibility grenades. 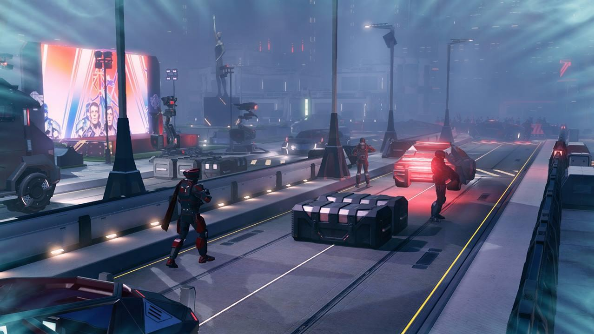 But Firaxis have taken the idea further with XCOM 2. Now cast as the underdog revolutionary force on a captured Earth, the player is forced to rely on guerilla tactics to overcome greater numbers than before. A concealment mechanic shown at E3 allowed a squad to sneak around the map unseen by their enemies, but it wasn’t clear just how powerful that tool was. Had XCOM gone full Invisible, Inc.? We asked lead producer Garth DeAngelis. Looking for a stopgap strategy game on PC? Read our recommendations on the very finest. Rather than an ability you’re dipping in and out of over the course of a mission, then, concealment is a chance to plant your first strike squarely on a Sectoid’s jaw. “Holistically as a squad, it’s an opportunity to efficiently and effectively take down that first group, and then, ‘Let’s sweep the rest of the map’,” explained DeAngelis. That said, there will be scope to modify units like the new Ranger to take advantage of longer-term stealth abilities. If there’s a point in particular where concealment will have a profound impact, it’s that familiar moment when combatants first lock eyes across a burning trainyard. Ordinarily, when triggered on the player’s turn, a clumped group of aliens are given a free move to scramble for nearby cover. “[Concealment] allows players a mechanical opportunity to get the jump on a group that won’t scamper on sight, right away,” said DeAngelis. Most enticingly, if you succeed in surprising a group of aliens, they don’t get a full scatter move – just a partial one – and can end up out of cover at the end of their turn. The idea of disintegrating an entire contingent of ADVENT troops with a well-timed ambush promises to be deeply satisfying. 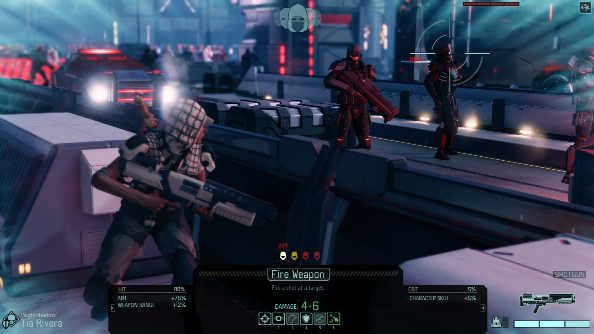 It’s not just a little stealth this sequel has in common with Invisible, Inc. Firaxis have thrown out Enemy Unknown’s strategy layer, too, and sent XCOM on the run.